A proposed class action lawsuit against Telltale Games could hold the company accountable for two months worth of salaries, health benefits, and other financial obligations to 275 former employees. The lawsuit, filed on Monday and published in full by Polygon on Tuesday, alleges that Telltale violated the federal WARN act and its California counterpart by not providing employees with 60 days of notice ahead of the mass layoffs and closure announced on Friday. Or any notice, actually - that's why the lawsuit holds them accountable for a full 60 days worth of pay. 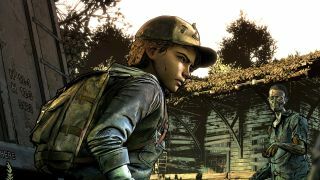 According to multiple accounts from Telltale employees, around 250 employees were laid off without any severance pay and left with health insurance that will expire at the end of September. A group of 25 employees is apparently remaining at the studio to finish work on the Netflix version of Minecraft: Story Mode, though Netflix itself has said it is now investigating other options to create a Stranger Things game. The class action lawsuit, filed by Vernie Roberts Jr. (who is credited with IT work on Telltale projects starting in 2016) seeks to represent both himself and all of these employees. What are the chances of its success, and just as importantly, will Telltale actually have any money to give employees as part of a potential judgment or settlement? For the first part of that question I'll direct you to GameDaily.biz's interview with Michigan business lawyer Richard Hoeg: the short answer is that the WARN act has some exceptions for unforeseen closures at the federal level, where this particular lawsuit was filed. California essentially has a more strict version of the WARN act on its own books - for which Telltale lawyers would have much more trouble finding an exception - but it's not clear yet whether a state-level lawsuit is also being pursued. That "last potential financial backer" was allegedly Lionsgate, which backed out on a deal it made with Telltale in 2015 to create a hybrid live-action/interactive project. And the matter gets even more complicated with the news that Telltale (or what's left of it) may work with external partners to finish The Walking Dead: The Final Season, rather than leaving it hanging after its second episode. Who would make that happen, and who would reap the profits? We'll keep you up to date with any more big developments. If you're feeling nostalgic for the good old days, Telltale is represented in our list of the best adventure games.